Photo by Teletext Alle Sport (Germany). Before the 2019 World Junior Championship commenced, there likely were not too many common hockey fans outside of the St. Louis Blues organization that knew anything about or even heard of current Blues prospect Klim Kostin. He was drafted by the Blues 31st overall pick in the 2017 NHL Draft. The Blues acquired the draft pick to draft him along with Oskar Sundqvist from the Pittsburgh Penguins in exchange for Ryan Reaves. Kostin was regarded as an elite scorer who played https://twitter.com/klimkostin24/status/1081420688529879042with a chip on his shoulder but slid later in the draft due to the fact he was coming off of shoulder surgery and some questions arose because of it. Kostin thus far has spent both the 2017-18 and 2018-19 seasons with the Blues AHL affiliate San Antonio Rampage. Kostin, while still trying to find his scoring touch at the professional level (11 goals in 95 AHL games), has established a tough guy reputation in the American Hockey League. In those 95 games he has played, Kostin has already been involved in several fights and finds himself coming out on top more often than not. During the preseason while on the Blues roster, Kostin also wiped the floor with current Dallas Stars forward Devin Shore, beating him to a pulp after he laid out Roope Hintz of the Stars on a big hit. So, to summarize, as the captain of Team Russia, Kostin left it all out on the ice as the Russians came up just short in a 2-1 semifinal loss to the United States. As a society, Russians put a lot on the line when it comes to winning for their country, especially in hockey. Kostin burdened the loss on his shoulders as captain and was devastated, as could be seen by him tearing up on the bench. During the postgame ceremony, Kostin, with fumes and emotions running high, threw his helmet to the ice as he skated to accept the watch he was awarded and then handed it off to someone on the bench. Kostin then looked away from the camera on a picture where the MVPs of Team Russia were taking a picture. Right after, amidst boos from the crowd, Kostin mouthed two words I should not repeat on here that you can probably figure out yourself. Kostin then went back to the bench where he sat and remained emotional, even after both teams exited to the locker rooms. After receiving his bronze medal, Kostin did applaud the crowd, despite a mix of cheers and boos. He also handed his stick to a young fan, marking a (somewhat) happy ending to the 2019 World Juniors for Klim Kostin. Say what you want about the situation, but Kostin is a 19-year-old kid who wears his emotions on his sleeve. As captain, his team was one win away from reaching the gold medal game and came up just short. He was understandably pissed and was in no shape to want to participate in a ceremony as a losing team. Is this kind of behavior acceptable at the NHL level? Not exactly. But Kostin is still a teenager, and likely younger than the majority of people reading this article. He has time to mature but his passion for playing and winning will only grow from here as well. There has been similar backlash for Kostin as there was for Lias Andersson. In case you did not know, Andersson, a New York Rangers prospect, tossed his silver medal into the stands after a tough 3-1 loss to Team Canada in the gold medal game at the 2018 World Juniors. Both have been labeled as childish, disrespectful, sore loser, and any other similar name you can think of. But both were teenagers at the time and neither’s will to win, passion, or heart for the game of hockey can be denied. I’d take both those guys any day of the week with their kind of attitudes. Now let’s look at the St. Louis Blues, the current team which Kostin is signed under. The current team is a disaster. Everyone thought adding Ryan O’Reilly, David Perron, Tyler Bozak, and Pat Maroon to a team that missed the playoffs by a single point last season would put the franchise in much better shape and in position for a potential Stanley Cup run. Well, nothing has gone as planned as the Blues are currently 16-19-4 (36 points) which is the worst record in the Western Conference and tied for the next to last worst record in the NHL. The 2018-19 Blues are so incredibly inconsistent. They can go out and beat a top team like the Nashville Predators, Calgary Flames, or Washington Capitals and then find ways to get blown out by teams such as the Arizona Coyotes or Vancouver Canucks. There is just a lack of heart and passion out on the ice as a team collectively and seems like there is not much accountability in the locker room. We hear the same quotes night in and night out from players on how the team just need to focus, stick the game plan, skate harder, etc. It is just a rinse and repeat with no change whatsoever. The Blues are lacking players who wear their emotions on their sleeve and who “bring it” every single night. The players on this team needs some attitude along with some damn passion and heart for the game of hockey and for the people of St. Louis who spend their hard-earned money to come watch this sorry excuse of a hockey team play on a daily basis. This team needs a Klim Kostin kind of attitude. Am I saying call up Klim Kostin to the NHL right now and he will fix everything for this team? No. I am not even saying he needs to be called up this season (although I would not be opposed). But Kostin’s type of passion for winning and losing and leaving everything out on the ice is what this Blues franchise has strayed away from. It is also a reason this franchise has not brought Lord Stanley’s Cup home in over 50 years as a franchise. Players have come and gone to St. Louis since 1967 just to collect their million-dollar paycheck and leave it at that. Now there have been some players over the years who did not adapt that mentality, but it is far too much the mentality of the current team. The team turns it on when they pick and choose and some nights, could not care less about how bad they play. When Klim Kostin becomes an NHL regular for the Blues over the next few years, it is going to a beautiful site. 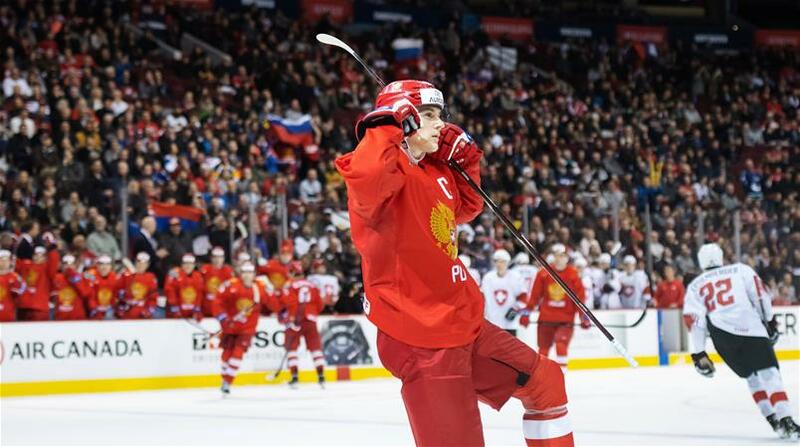 Seeing how he handled duties as captain for Team Russia, he is going to hold every single one of his teammates accountable every single night and accept nothing less from everyone but their best effort. Klim Kostin plays to win, puts everything on the line, and lays bare every emotion when his team and himself hit the ice. That is the kind of leader you want on your hockey team. With his demonstrated heart, passion, and attitude for this glorious game, Klim Kostin will always be a guy I want on my team at the end of the day. I do not care about what you have to say about his antics from the end of the World Juniors, the St. Louis Blues have a damn gem in Klim Kostin. Tage Is All The Rage!! !